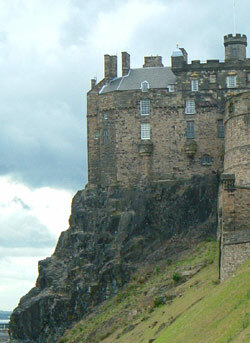 Edinburgh International Airport is 10.4 km from Castle Wynd North. There is a regular bus and taxi service from the airport into the city centre. A1 from the south, M8 from the west, and the M90 from the north. On street parking is available on Johnston Terrace and this is free before 0830 and after 1830. In between times this is metered. 24 hour parking is available approximately 8 minutes walk away. Waverley Station is at the west end of Princes Street and within walking distance although if you have heavy luggage you may prefer to come by taxi.